We all know that excess fructose (sugar) is metabolically dangerous. For most people, small amounts of fructose are totally fine – nobody ever got diabetes from eating too many blueberries – but everyone from the low-fat vegans to the high-fat strict Paleo eaters agrees that sugar overload, especially from refined sugars, is not great for you. But even if you’re not eating enough of it to give you a sugar rush or any extra calories, fructose can cause a whole different kind of problem called fructose malabsorption. If you get stomachaches, diarrhea, or other digestive symptoms after eating fruit or honey, this may be the cause – here’s how it works. 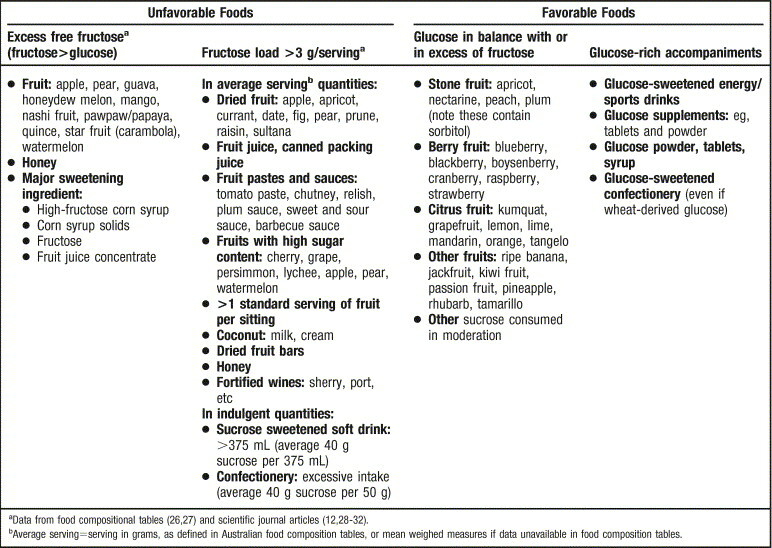 Fructose is a simple carbohydrate, sometimes referred to as “fruit sugar” because in nature, it’s found mostly in fruits. After you eat a food containing fructose, some of the fructose is absorbed by special cells in your small intestine. Healthy people without fructose malabsorption can absorb around 50 grams of fructose at a time. But for people with fructose malabsorption, the cells in your small intestine that would normally deal with fructose don’t work properly. The upper limit to the amount of fructose that these people can absorb is much lower (around 25 grams or even less; some people react to as little as 5 grams), to the point where you could be pushing it with a big cup of sugary soda, or a Paleo treat based on a lot of honey, dried fruit, fruit juice, or other fructose-heavy foods. 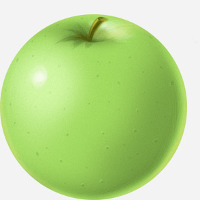 The excess fructose attracts water to itself (this is called osmosis). In people without fructose malabsorption, this is why raisins or prunes are so famous for treating constipation: the high amount of fructose they contain draws water into the small intestine and makes the stools softer and easier to pass. For people with fructose malabsorption, the effect is turned up to 11, and foods high in fructose can cause painful diarrhea. It’s the same effect that someone without fructose malabsorption would get from eating a whole pound of raisins. The excess fructose provides excess food for the gut flora. When the gut flora “eat” the fructose by fermenting it, they produce gas, which can cause flatulence and bloating. If you get gas, bloating, or painful diarrhea after eating a lot of fruit, agave, or other high-fructose foods, you may have fructose malabsorption. But on the other hand, you may also not. Fructose malabsorption isn’t the same thing as FODMAPs intolerance. If you also get symptoms after eating onions, garlic, leeks, cruciferous vegetables, and other “roughage,” your problem is more likely to be FODMAPs than fructose specifically. Fructose malabsorption also isn’t the same thing as bacterial overgrowth in the small intestine (SIBO). Fructose malabsorption affects the gut flora, but the root problem is not the gut flora themselves, whereas in SIBO it is. If probiotic foods or supplements make your guts miserable, then your problem may be more SIBO-related. Nobody’s quite sure how many people have fructose malabsorption, since the tests for it aren’t very good, but it’s not rare, especially among people with other gastrointestinal disorders. If you have noticeable gastrointestinal symptoms after eating fruit, honey, agave, and/or fruit-based sweeteners, fructose may be an issue for you. So what do you do if you really do have fructose malabsorption issues, or if you suspect that you might and want to do an elimination diet to check? The obvious answer to all of this is to limit fructose in your diet to a quantity your gut can handle. Just as a general principle, if eating a food gives you horrible gas and diarrhea, it’s typically a safe bet not to eat it. Studies have shown that a fructose-free or fructose-limited diet does actually help treat the symptoms and often provides considerable relief. Choose foods low in fructose, including polymerized forms of fructose (fructans, inulins, and fructo-oligosaccharides) – see below for a list of good and bad foods. Choose foods with as much or more glucose as fructose. Glucose is another type of simple carbohydrate, and fructose is easier to absorb and digest when you eat it with glucose. The ratio of glucose:fructose should be 1:1 or greater. Obviously not all the foods on this list are Paleo-friendly, but they give you a good idea of what to eat and what to avoid. Addressing gut flora imbalances may help with other digestive disorders, and it’s always a great idea for your overall health but probably won’t be much use for fructose malabsorption, because the problem is with the cells lining the gut wall, not the gut flora per se. If you have a gut flora overgrowth, that could be exacerbating the problem, but it’s not the root cause and even if you treat it, the fructose malabsorption will stay. The good news: fructose malabsorption may help protect you against fatty liver disease later down the line. And it certainly puts the brakes on violating the spirit of “Paleo” with endless fruit and honey-sweetened treats, which can only be good for your health in the long run. It is a pain to deal with, but at least it has its rewards. Fructose malabsorption is pretty complicated, and it can have the same symptoms as a lot of other functional digestive disorders like IBS or SIBO, even though the root cause is completely different. If you have gas and bloating issues even on Paleo, or if you get bouts of diarrhea after eating sweeteners like honey or dried fruits like raisins and dates, it may be a sign of fructose malabsorption. The only really effective treatment is to find a level of fructose your body can tolerate and stick with it. 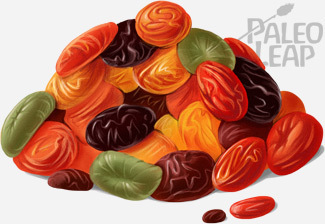 On Paleo, a low-fructose diet shouldn’t be a huge switch – you’ll have to give up some dried fruits and treats sweetened with honey and maple syrup, but those things shouldn’t be staple parts of your diet anyway. And you won’t be losing much in the way of nutrition that way – there’s nothing in fruit that you can’t also get from vegetables. Why not give it some consideration; you have nothing to lose but your symptoms!